A Lady Reveals Nothing: The "Renee"
I want to preface this post by stating that I don't think it's funny. But at the same time it's so so so so so funny. My mom wanted to go hat/scarf/wig shopping before she started her chemo, and so Kelly and Kasey and I scheduled a trip to the Mall of America. We started at Nordstrom and looked at every single hat and scarf in the place. It was really emotional, and the sales girl kept coming around every five minutes to see if we "found what we're looking for" and finally Kasey pulled her aside and said "will you please leave us alone? CANCER" and then she did. Sounds mean, but we were just trying not to cry, that's all. Anyways, after we left Nordstrom we were in the hallway walking to the wig store and my mom stopped in her tracks. She started to hyperventilate. The four of us did a group hug and we cried and cried right there in the hallway. And then when my mom felt ready, we collected ourselves and continued on. It was awful. And then we got about the business of wig shopping. 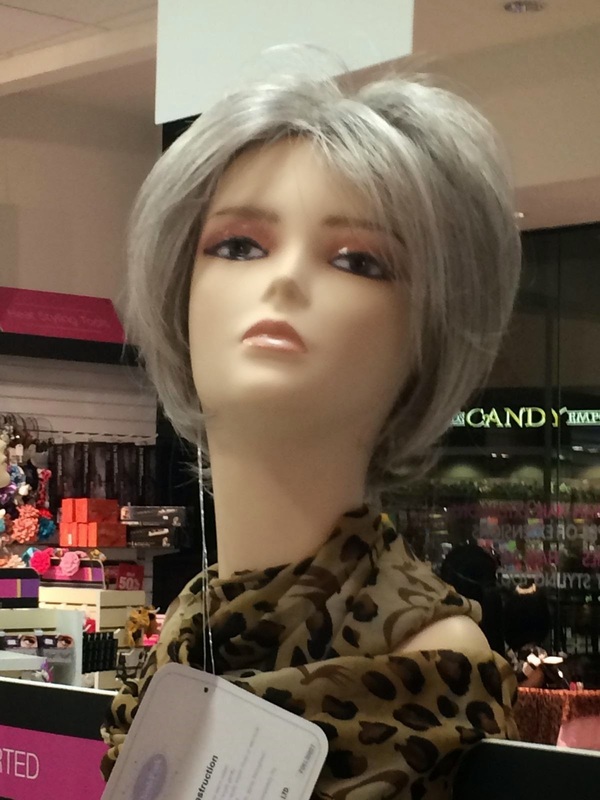 They had some really nice silver wigs and this is the one we settled on. The "Renee". We asked the lady (and by lady I mean a 16-year-old girl) if we could try it on and she showed my mom how to stick both her thumbs in the front of the wig and instructed me to pull the back of the wig around to the back of her head. Kelly was standing in front of my mom and so she was the first to see what it looked like. She burst out laughing. Like really hard. Immediately tears were running down her face. Still standing behind my mom, I scolded her silently. "KELLY", I mouthed. "STOP IT YOU JERK." I couldn't believe how she was behaving so soon after my mom broke down in the hallway and we all cried together. Kelly turned around and doubled over and kept laughing. She couldn't stop. "I'm sorry. Look." she could barely get out the words. So I came around the front. My mom had put the front of the wig way too far forward and so the wig hair was coming straight out of her eyebrows. You and those goons that make up your family? Wonderful. As long as Mom is laughing too. It's good medicine. The "Rod" would be my choice for sure! 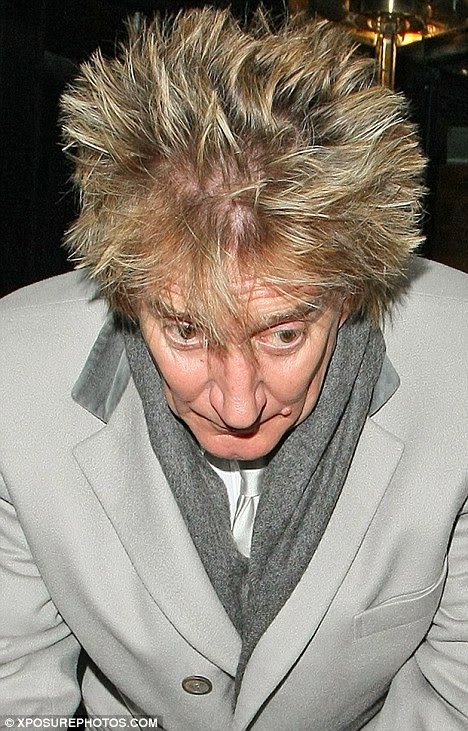 Did she burst out in song with "Maggie May?"